You get paid in Nxterpoints (NXTP). NXTP’s are loyalty points awarded to readers who contribute to NXTER.ORG. As a thank you for your dedication, we donate Nxter.org’s profits to contributors. We do this in the form of dividends. Because we’ve issued the NXTP asset on the Nxt Asset Exchange (AE) and use the AE to distribute the NXTP’s, you can transfer them, sell them or simply keep them and continue earning dividends, month after month. The dividends, which are paid in the beginning of every month, are currently paid in NXT, and financed out of the revenues generated by NXTER.ORG from whatever source, including sponsors, advertising, article and book sales + other services we (or you) may introduce in the future. If you decide to stop contributing to NXTER.ORG, you’ll get to keep your NXTP’s, and we’ll continue paying dividends as a thank you for your past loyalty and contributions to NXTER.ORG. What can I contribute to NXTER.ORG? Your news or views on anything in any way relevant to Nxt as a token, a crypto currency, a platform or an economic ecosystem, your translation skills, your code as a Nxt service programmer, or relevant article images or web design for NXTER.ORG. If we use or publish your contribution, you will be awarded with NXTP, depending on word length and / or quality of your work. An article for the front page of NXTER.ORG. A previously unpublished news update or asset description. Any other contribution that helps Nxt through NXTER.ORG. Feel free to ask or propose something. Readers are welcome to submit guest blog posts. For each approved blog post, the contributor will receive 100-250 Nxterpoints. The exact amount of Nxterpoints awarded will depend on the editor’s assessment of the blog post’s quality and the amount of any editing required. You can write about anything Nxt related, including aspects of society or business where NXT, as a currency and/or as a token or an economic platform, has or could have a role to play. We’re constantly on the look-out for new stories and people who want to express their point of view. For example, you might be worried about surveillance. You could be a social entrepreneur. Student. Developer. Activist. Or a financial blogger interested in crypto currencies. Whatever your background or perspective, get in touch if you have something to say. We will consider inviting those with 3 or more published blog posts to write on a regular basis for the front page of the site and earn additional Nxterpoints. We reserve the right to modify/delete blog posts. Before doing so we will contact you by email (assuming you have provided us with your email address) or otherwise by Nxt message. Up to 750 words: 200 to 300 loyalty points. 750 to 1000 words: 300 to 400 loyalty points. 1000 words and above: 400 up to 500 loyalty points. We’re always interested in new stories and people who want to share their knowledge and considered opinions on subjects in any way relevant to NXT as a crypto currency, token or economic ecosystem. Have you got a good story to tell or a point of view you want to express or is there something you think we should follow up? Maybe you’ve already written an article and are now looking to get it published. Or perhaps you would like to join our team of writers and be commissioned to write articles? We’re always happy to receive unsolicited articles for possible publication. Feel free to get in contact at any time. The exact amount of NXTP awarded per Category 2 contribution will depend on the amount of any editing required. Did you just read some breaking news in the forums? Know of a story about to break? Perhaps you’ve heard something from an insider source. Or maybe you’re about to launch a new asset on the Asset Exchange or, conversely, you’ve just spotted a scam asset and want to blow the whistle on it. Whatever it is, let us know (see Notes for Contributors below for contact details) and if we publish what you send us, we’ll award you 25-100 NxterPoints, the exact amount depending on our assessment of its newsworthiness. If it’s a story or press release about your own project which you would like us to publicise (we’re always happy to oblige whenever possible!) please use the contact form (not paid). Nxt is a global phenomenon, which we want to celebrate. 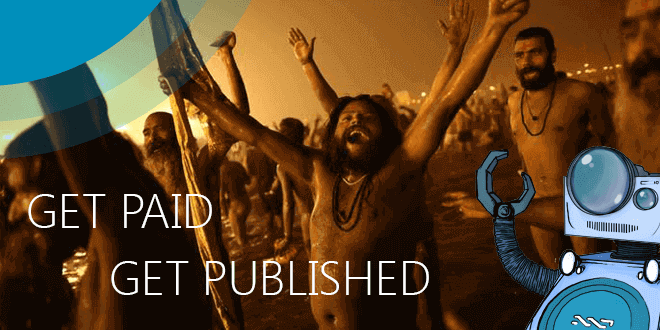 The main site is in English, but Nxter.org aims to be a multilingual magazine that reaches out to the world. The French site (http://test.nxter.org/fr) was launched to test this, and we’re proud to say, we consider it a success. We only pay for translations where there is a local market (that we can build upon) and a large segment of that market does not understand English, either well or at all. At the moment we consider French and Spanish to be our main targets. However, we are very open to suggestions regarding additional languages, so if you think this can be expanded – and you can contribute to it – please contact us. Local editors not only publish original articles in their own language, they also translate other content on nxter.org into their own language as well. We want to reflect Nxt decentralization. It also happens that nxter.org runs “campaigns” that we want published in all languages simultaneously (for example about new Nxt core features or as a paid service to Nxt businesses). Translators are paid 1/3 of the original author’s payment. If you are interested in being a local editor (either by running a local blog or a magazine), please also read about Category 5 contributions. Any other contribution that helps nxter.org. Tell us what you have got that we need. We’re always open to suggestions. Are you good with social media or PR? We send out PR material to other media as well. An artist or psd-shark who can do better featured images for the articles than us? A developer who can’t stand to see that we’re not able to sell digital goods from Nxt Marketplace directly from the site yet, don’t have a NXTER Dapp or even a secure NXTER online wallet to go with our Market Reports? 😉 Perhaps you just want to brainstorm an idea, or put in the hours to build a side business yourself on NXTER.ORG. We are open to new partnerships. Contact us if you have a good idea and the right skills to execute it. Please use the contact form. Blog posts are published directly by readers HERE, subject to review by the editor. Please send previously unpublished news items in by using the Breaking News contact form. Please send all contributions intended for possible publication on the front page of NXTER.ORG HERE. Translators and Category 5 contributors (any other contribution), please make contact using this contact form. All contributions of any kind submitted by the contributor as the author must be his or her original work and not have been previously published. Editing of contributions mainly involves proof-reading for typos and making changes (grammatical or stylistic) in order to clarify meaning. However, the editor’s job is also (where possible) to help ensure that contributions are factually correct. A fact is a statement that can be objectively proven true or false; i.e. is objectively verifiable. An opinion is a statement of belief or judgement that cannot be objectively proven true or false; i.e. is not objectively verifiable. See further: http://en.wikipedia.org/wiki/Fact and http://en.wikipedia.org/wiki/Opinion. We’re all entitled to our own opinions, and indeed we want authors to express theirs freely, but we’re not entitled to our own facts. Authors are requested to fact check their contributions before submission. Where a ‘fact’ has not yet been proven either true or false, it’s a hypothesis and should be referred to as such. does the information which is being presented as factual seem well-researched? is the information presented in a logical way? does the author seem objective and impartial? is the information consistent with similar information obtained from other apparently credible sources? does the author cite references? does the information include opinions disguised as facts? NXTER.ORG takes no responsibility for the future value of Nxterpoints/NXTP. Contributions give them their value. NXTP’s are tradeable on Nxt Asset Exchange. Dividends are paid in NXT or such other crypto currency based on the Nxt platform as NXTER.ORG may stipulate in the future. Any change to the above terms and conditions will be announced at least 1 month in advance on NXTER.ORG in all featured languages. For details regarding the NXTP monthly distribution, click here. Issuing account: NXT-EAVH-SLEV-KSEE-EE2KP. NXTP has asset ID 17290457900272383726.